Whether if it’s hung over the front window or right outside the entrance, any owner of a sandwich shop, diner, or coffee bar establishment knows that traditional signs do a better job of attracting large amounts of foot traffic. Chalk it up to traditional marketing efforts but there’s something about seeing creative, hand-written “Lunch Specials” that makes the establishment more intriguing. 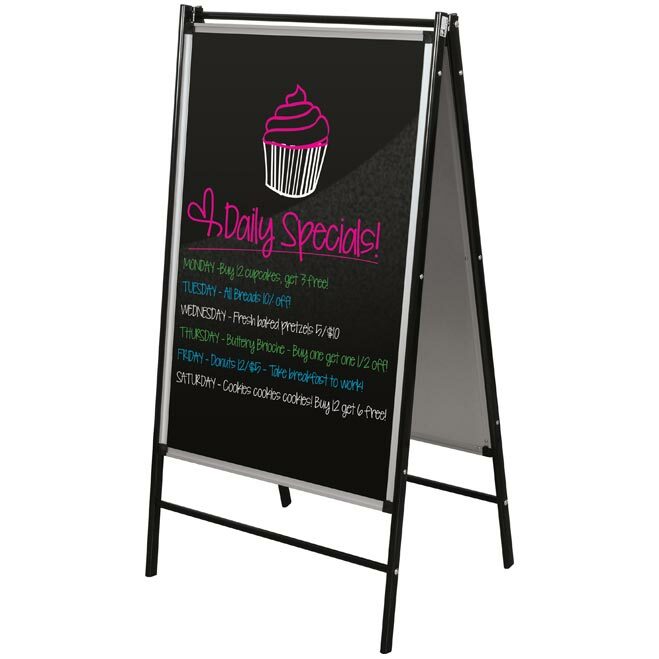 The Black Dry Erase Display Easel by Best-Rite provides a catchy and hard-to-miss visual for both frequent and prospective customers. While it’s cool to see a message materialize from running text and fancy electronic imagery, you’ll want a bulletin board that is consistent with your organization’s operations. 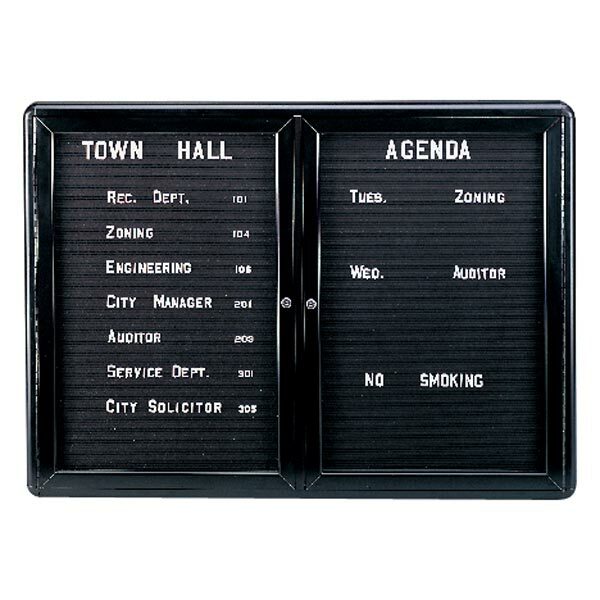 For example, if you need signage to direct guests, attendees, and vendors to the right table or hotel conference room floor & room number, a traditional freestanding message board helps quickly direct everyone to where they need to go. In addition, certain atmospheres such as churches, banks, and libraries compel a more subtle display message system. The Ovation Enclosed Bulletin and Letter Board by Ghent is practical and secure making it perfect for organization lobbies and quiet areas. Electronic bulletin boards and signage devices are not without their inherent issues. First, they can consume a considerable amount of electricity over a long period of time. Second, technology can and do occasionally malfunction which can lead to costly replacement. Third, the sensitivity of electronic components means your digital sign might need to be carefully set up in a place where customers can’t accidentally trip over it or spill their drinks on it. Fortunately, a traditional bulletin and message board system is immune to these issues and can stand the test of time. 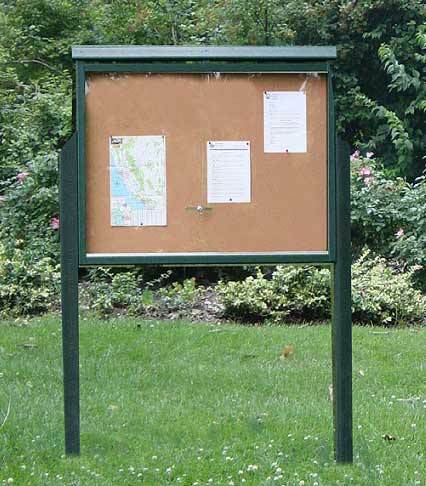 The Large Outdoor Message Center by Jayhawk Plastics allows you to post messages, memos, and event reminders that can endure the outdoor elements while being clearly visible to foot traffic. Some companies are forward thinkers while some organizations are traditional. We understand that every organization has different signage needs and this is why we provide a comprehensive line of displays that can meet the needs of your company or non-profit organization. Because of this, we invite you to check out our comprehensive line of Bulletin and Display Boards and let us help you pick the best signage for your organization! < Active Seating: Can We Learn How to Move?